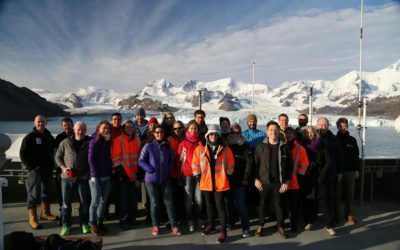 BAS > News & media > Latest blogs > ANTARCTIC BLOG: Signy season gets underway! 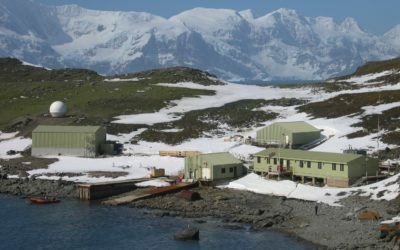 Despite being one of BAS’s smallest stations, I would argue that Signy is one of the most remote. 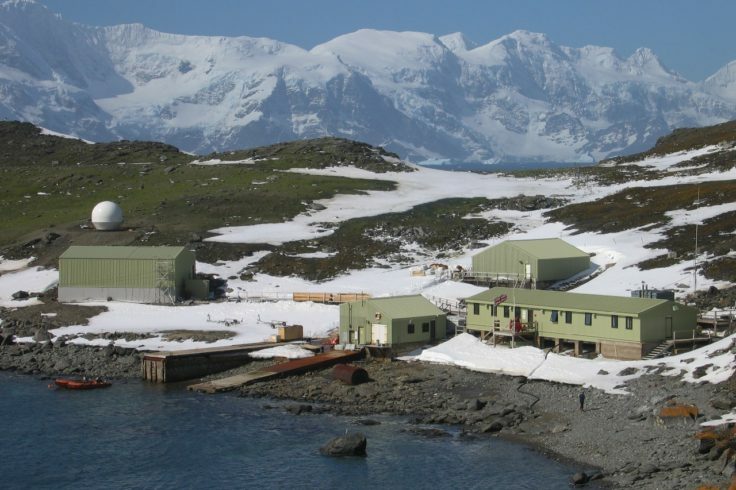 Situated in the South Orkney Islands, at a relatively northerly 60 degrees latitude, the station is over 1300 km from the Falkland Islands, 600 km from the Antarctic Peninsula, well off shipping lanes, has no runway for wheeled aircraft, nor a skiway for Twin Otters. Travel by sea is the only way in or out. This is the sort of remoteness most of BAS’s Antarctic staff work with, to one degree or another. The remoteness is part of what brings us here, personally and professionally. 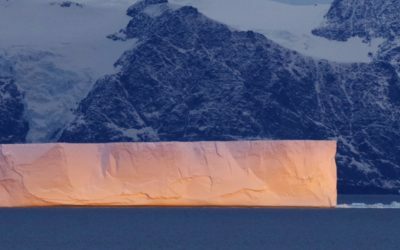 Signy Island, a little gem in what is called “Maritime Antarctica” is a place of incredible landscape and prolific wildlife. 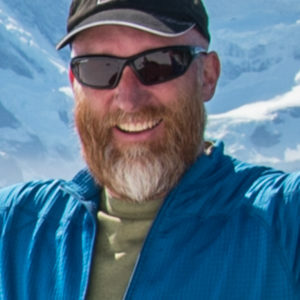 I am headed to Signy to work my 9th season with BAS as a polar guide. I will be supporting the small team of scientists and technicians in their jobs on base and all over this amazing island. I’ll be documenting their work as we go. Signy is a summer-only station, unlike all BAS’s other research stations. 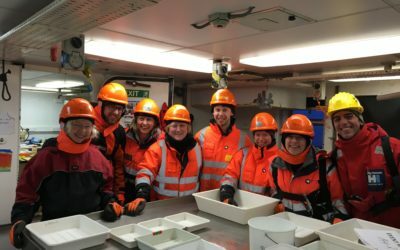 Our journey down to Antarctica from the Falkland Islands was aboard the RRS James Clark Ross (JCR), one of BAS’s two ships. After almost three day’s steaming south we had completed most of the journey and were approaching the South Orkney Islands, to which Signy Island belongs. Our small team of eight had all met and anticipation and excitement for the coming season was high. The 12 knots per hour progress of the JCR was suddenly interrupted by dense pack ice as far as the eye could see; chaotic jumbles of white, grey and accents of blue stretched to the horizon. The ship’s progress had slowed to a crawl. Speculation on when we would arrive, and if we could access the station, grew by the hour. Our original schedule was now in jeopardy. Through the night the JCR officers and crew expertly piloted the big red ship through the choss. Our speed was reduced to 1 or 2 knots with lots of bumping and grinding, ice floes deflecting to each side of the JCR’s bow. Forward progress sometimes necessitated a reversing of course or abrupt turn to navigate through the chaos before us. With a blizzard kicking up, visibility was reduced that night to the limits of the ship’s searchlights. The next morning’s daylight revealed nothing but ice on every horizon. For the uninitiated the scene might have been distressing. However, the JCR’s officers and crew took it all in their stride. This was the kind of challenging navigation in Antarctic waters that they were meant for. As we slowly pushed our way through the pack, every so often a dark figure would appear on the ice; a Weddell seal sleeping away the hours, or a penguin standing at attention on a bergy bit. 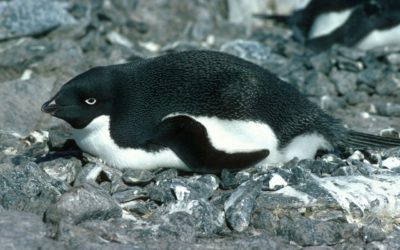 One Adelie penguin, looked equal parts bewildered and nonplussed as the big red steel hull approached and then passed it. Wings flapped, head bobbed from side to side, a scuttle of steps away, a plaintive cry and then a relaxed posture as the penguin watched us go by, then returned to preening as if our presence was an everyday affair. It felt as if the animals were welcoming us with their indifference, reminding us how small we are in this vast and uncompromising landscape. If this broken pack ice continued all the way to the station, whether or not we could get from ship to shore would be in doubt. We might have to stay on the ship two more weeks or longer until it cleared and could try again. 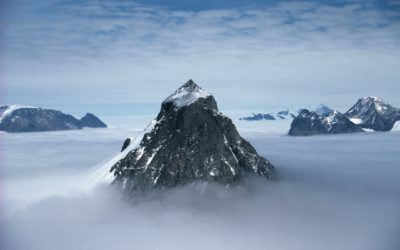 Discussions amongst our group speculated on the numerous permutations of our plans should the ice prevail. 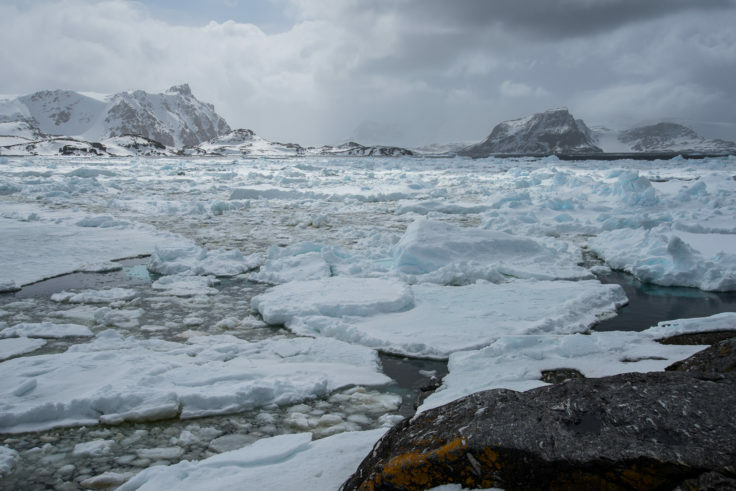 Each day of delay meant science and CCAMLR monitoring programs set back and possibly disrupted. All the preparation and planning leading up to the field season were at risk. Flexibility and adaptability are standard requirements for anyone plying Antarctic waters, that’s for sure. 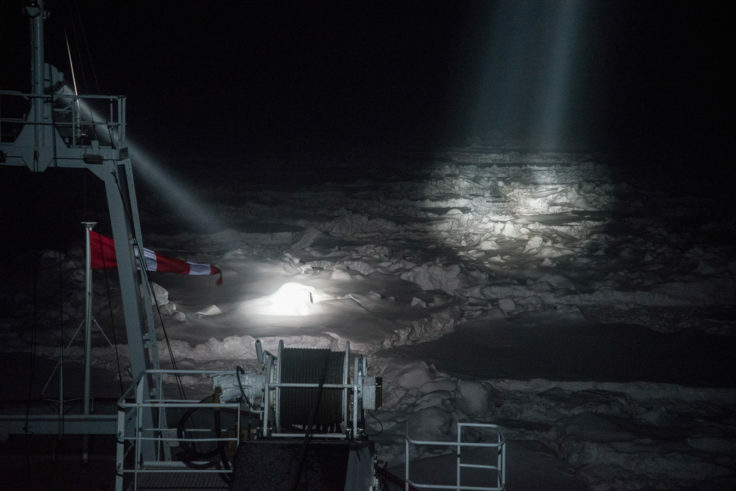 As the JCR rounded the southern tip of Signy Island the overcast skies darkened ahead, a circumstance known as “water sky” (the cloud bottoms are white over the ice and dark when over open water). This injected some hope into the excitement each of us as was feeling as we watched from the bridge. Sure enough, the tight pack ice did suddenly come to an end. As abruptly as we had entered it the day before, now we were suddenly in open water! A few miles later, as we got closer to our destination, we could finally see into Factory Cove where the base is situated. 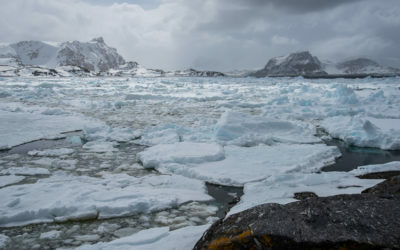 The view revealed some fast ice (solid sea ice attached to shore on three sides, often in a bay) locked in around the jetty and right across the mouth of the cove . Before long the ship anchored, Humbers were launched, and a shore party was off to investigate the conditions. After all the travel south from home, waiting in the Falklands and being a passenger on the ship, we now had to jump into high gear. 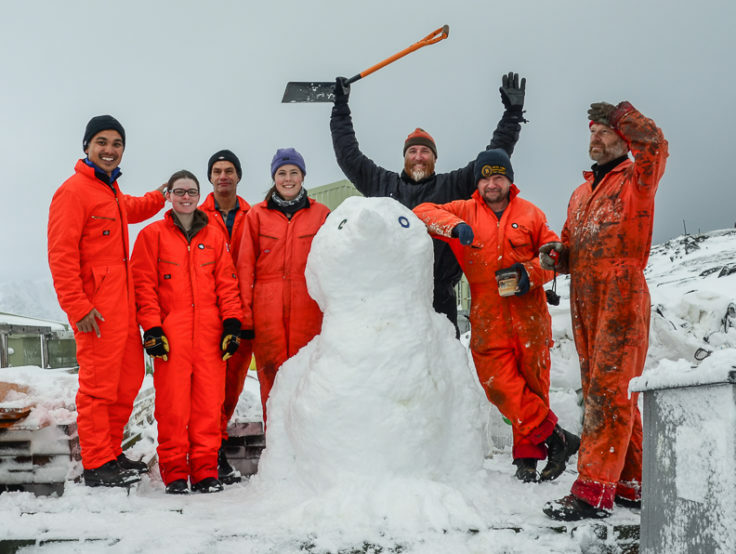 Matt Jobson (Station Leader), Paul Cousens, (Facilities Engineer), Owen Pihama (Facilities Technician) and I went ashore in choppy seas and blowing snow to assess the snow and ice conditions and the status of station buildings after an Antarctic winter. With that knowledge in hand we could come up with a plan to safely open up the station and get the many tonnes of cargo ashore efficiently and safely. I had arrived at my new home for the next five months – it was a beautiful spot and I was energized. The Signy season was underway!